Big Brother has joined the Twitter-craze and each week, the Head of Household will provide daily ‘tweets’ to the public. Plus, Big Brother is on several other new platforms this season. It all started with Big Brother’s Executive Producer sent out a tweet saying “This morning the new HGs were awakened by MJ’s music in honor of his memorial. Casey even performed thriller in the backyard.” Hours after this tweet from the show’s Executive Producer we received word that there are two new official Big Brother Twitter accounts to follow. If you’re new to Twitter, it’s fairly simple. You create an account and tell it which “friends” to follow. Whenever one of the accounts you are following posts a tweet, it will display in your account or be sent to your cell phone (if you setup that feature). The two official Big Brother Twitter accounts to follow are “BigBrotherScoop” and “BigBrotherHOH”. @BigBrotherScoop will provide tweets from the production staff of Big Brother. A recent tweet said “It’s already getting hot in the Big Brother house, don’t ANY of these houseguests wear CLOTHES!?!?!?!?!?! ?” On the @BigBrotherHOH account, each Head of Household will make a daily tweet from within the house. Also, be sure to follow WeLoveBigBrother.com on Twitter to receive breaking Big Brother updates. We’re at http://twitter.com/wlbb. CBS and RealNetworks®, Inc., join forces for the ninth straight cycle to provide exclusive All Access live streaming video from inside the BIG BROTHER house. The webcast coverage debuts immediately following the Thursday, July 9premiere. Start your free trial and watch the houseguests live 24/7 right here. On Friday, July 10, “Inside Dish with Ross Mathews” will launch with weekly BIG BROTHER segments at TheInsider.com. Ross Mathews will also conduct weekly chats with the latest evicted House Guest beginning Friday, July 24. 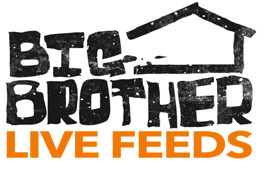 Be sure to check out WeLoveBigBrother.com’s offerings this season as well. Each Thursday you can call in to Big Brother Extra! The Live Video Chat Show, hosted by Bunky from BB2. We’re live every Thursday at 7pm Eastern, one hour before each live eviction. Plus we’ll bring you weekly evictee interviews as well!